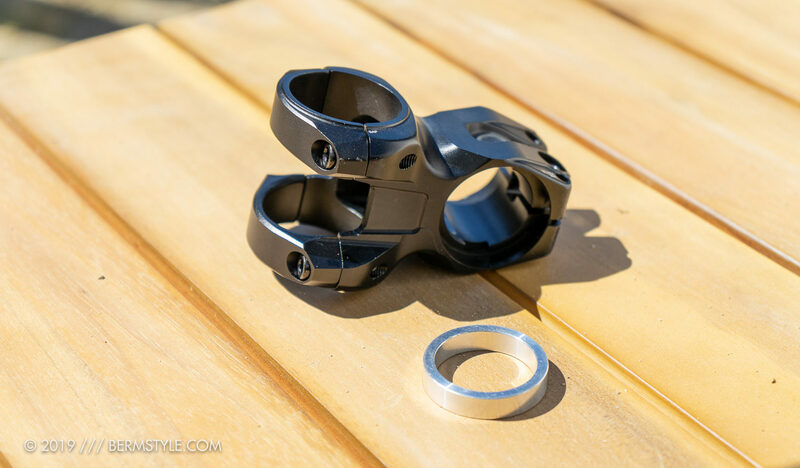 OneUp Components released an EDC tool system last year that allows the rider to store essential trailside tools using the space in the steerer of the bike. Residing where the star-fangled nut usually lives, in order to get the headset adjusted, they created a proprietary top cap that threads directly into the steerer. (they also offer a special tool to cut threads directly into the top of the steer tube.) 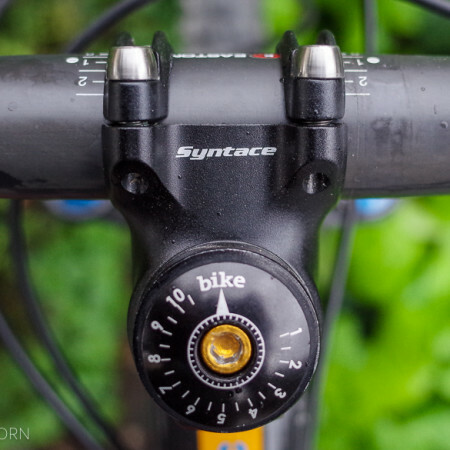 The system has received positive feedback, but was not easily swapped from bike to bike. The new EDC stem system with its preloader and top cap allow the rider to store the EDC tool in the steerer without the need to cut threads. 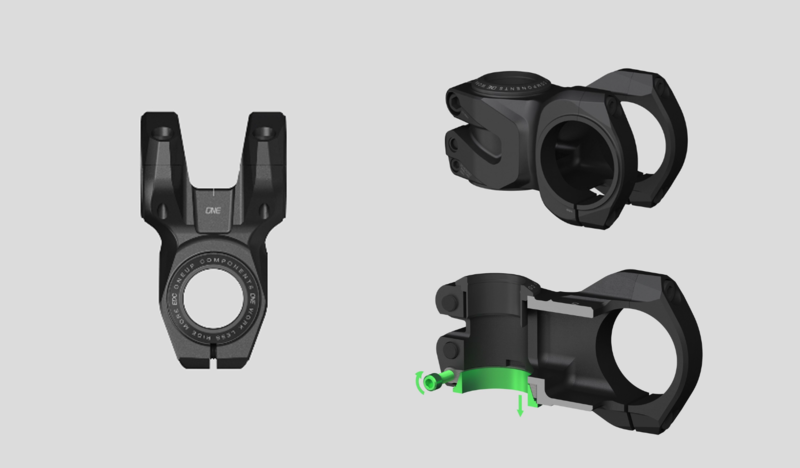 To install and set the stem and headset adjustment, you tighten the stem, then tighten the pre-load collar until the play is gone. When not used in conjunction with the preloader, a spacer (included) is used in its place. 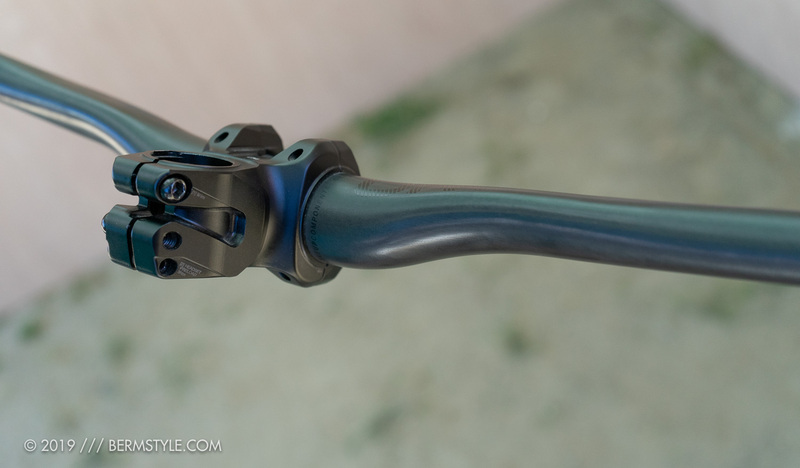 Setup is similar to the Pro Gear (by Shimano) Tharsis stem, although the execution is considerably different. 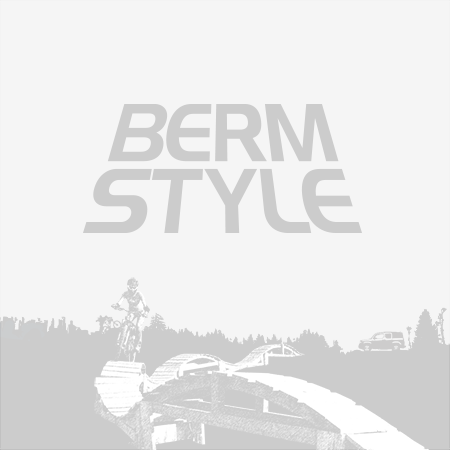 Like the Tharsis stem, it can be run on its own; the stem is also available without the preloader. 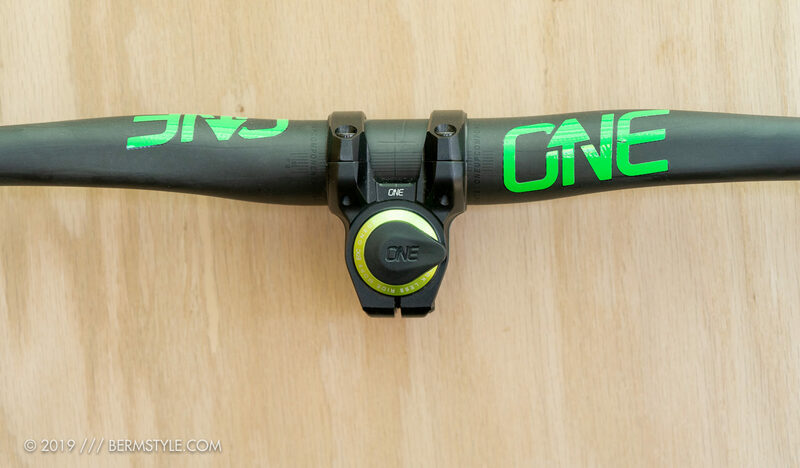 The OneUp stem is available in a 35mm and 55mm extension. 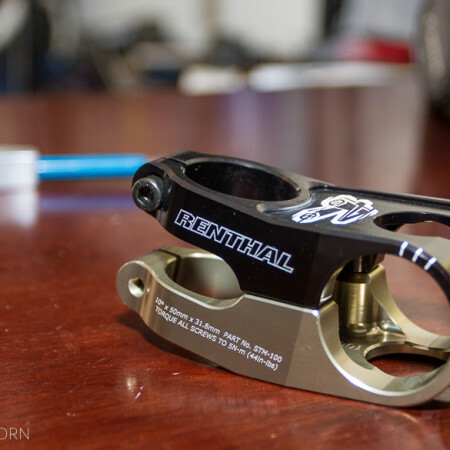 A new carbon bar was released to pair with the EDC stem. At first glance, it comes off like any other 35mm carbon bar. A closer look reveals a shape that is remarkably different. Wanting to create a bar with the confidence that comes with a 35mm clamp diameter that maintained the comfort and compliance of a 31.8mm bar, OneUp uses a patent-pending oval shape to achieve the best attributes of both sizes. 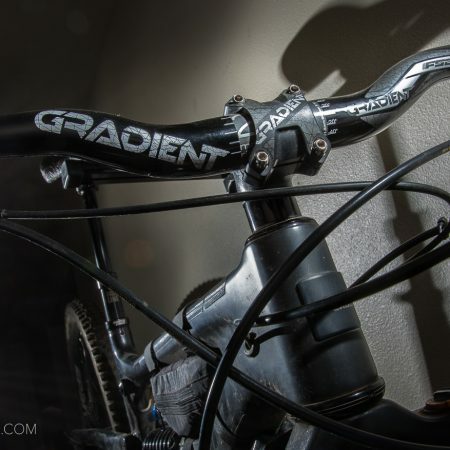 Almost every other carbon bar on the market copies the simple tapered profile of an Aluminum bar. 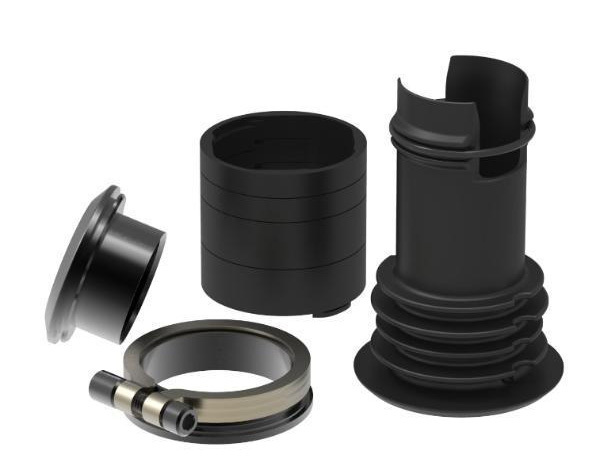 With carbon you can take advantage of more complex shapes to get a better performing product, so that’s what we did. We bench marked the OneUp bar against the most popular carbon bars on the market as well as foam filled aluminum bars. The results were, on average, a 21% increase in vertical compliance (comfort) coupled with a 28% increase in steering stiffness (responsiveness). These are more than just marginal gains. 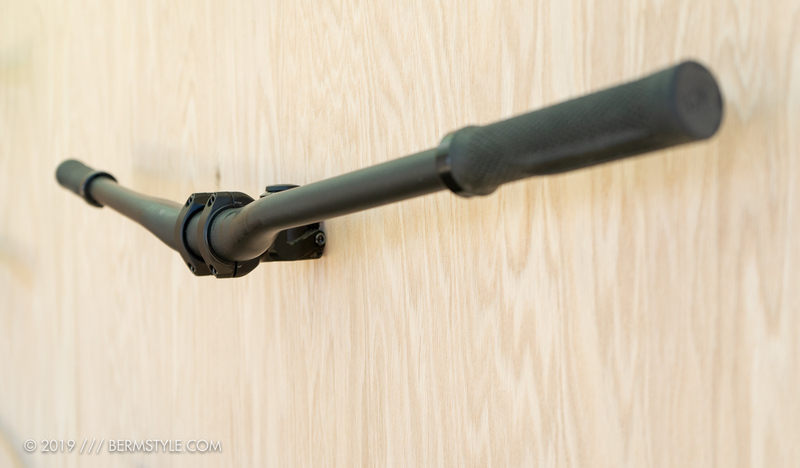 The OneUp adjustable height post is now available in a 210mm version. 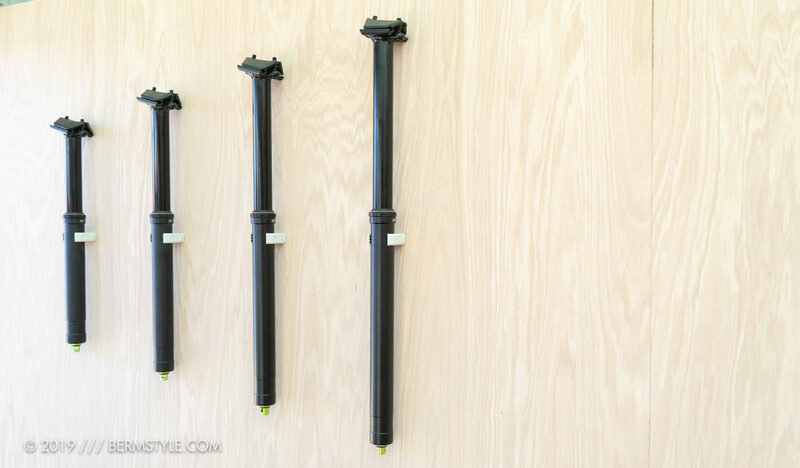 Four models of the adjustable height post are now available: 120, 150, 180 and 210mm options. 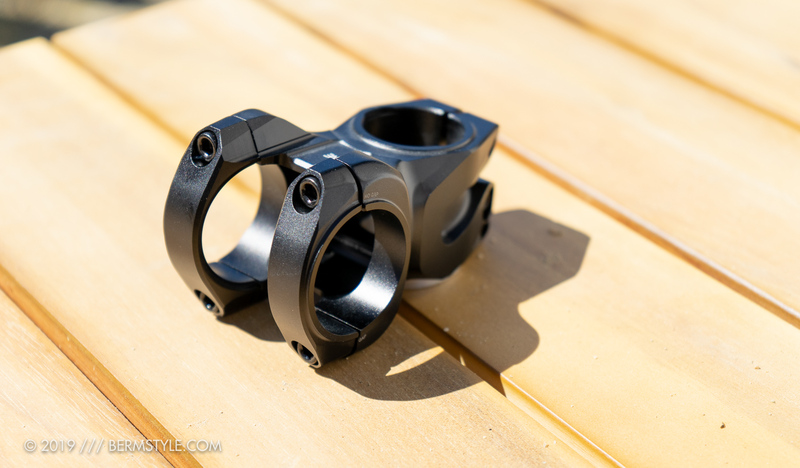 Besides a wide range of options, the OneUp posts boast a very low stack height (they claim it features the shorts stack height of any dropper currently available) and they’ve been improved for this year with a new upper DU bushing in the collar for increased bushing overlap and durability.